Multipurpose WordPress themes are considered as one of the best selling themes that allow you to build almost any type of website! Now, If you are a start-up company or an agency, what could be a better start for you than having an online web appearance? Today, the world is going digitized and technology is shrinking to mobile like devices..
..an age of smartphone users, who know the popularity and demand of e-Commerce business. Now, keeping in mind your business necessities, WordPress gives you..
..stunning and captivating multipurpose website templates. For startups, it is best to go for a multipurpose multi-page or one-page website template that gives you..
..a handful of options like multiple widgets, slider options, different homepage styles, customization, etc. 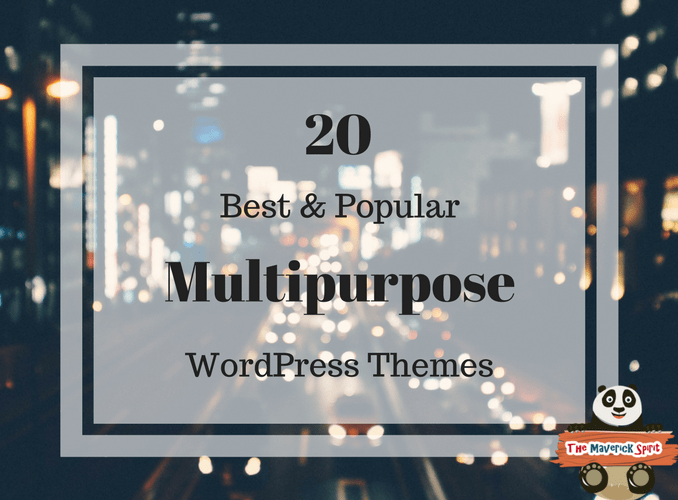 Having said that, I have come up with a great collection of..
..the 20 best, responsive and popular multipurpose WordPress themes! Browse ahead and pick the ideal one for yourself! LeadGen has powerful drag & drop landing page builder that lets you create any number of page sets in minutes. This exclusive web template is integrated with a lead generation contact form featuring Google Captcha integration and data validation, which checks if the visitor’s input is clean and correct. With LeadGen you get over 32 elegant & perfect custom-built demo websites. There are more such amazing features that will give you a wow factor after downloading this theme. Pillar comes equipped with a flexible, fast, intuitive, easy to use Variant HTML page builder. The template has 2000+ icons to choose from. Moreover, it has a powerful admin panel to customize almost anything. With WooCommerce integration this WordPress theme can be a perfect solution for eCommerce business with add to cart options, mega-menu, and double-level drop-down menus. Download Pillar today to build with over 140 unique blocks to choose from. Pivot is an extremely stunning, versatile multipurpose WordPress template. You can quickly organize and manage your web pages that come to life using Variant layout builder, moreover, you can add, remove and reorder 70+ blocks uniquely styled in real-time. Drive more traffic to strengthen your networks with social integration like Twitter and Instagram. Build your subscribers mailing list with email marketing solutions powered by MailChimp & Campaign Monitor. Don’t forget to access its live preview to explore more such amazing features and advanced features of Pivot. Intense is an all in one WordPress theme solution to any business niche. You will find a complete stock of embedded features that will exactly work to accommodate your end user requirements. Intense give you a wide variety of astonishing ready-made header & footer styles, if pre-built designs, doesn’t excite you then go for creating your own style of template. This skin offers 300+ PSD files, advanced UI kit, 30+ blog templates 2000+ fonts icons, touch swipe photo gallery, unlimited skins & color pallets. Try Intense today to explore more about this eCommerce Website template. Massive fits perfect for the agency, corporate, personal blog, company website or an online web store. Seamlessly stunning this WordPress template saves your extra penny by giving some features for free like revolution slider, Menuzord (responsive mega menu) and different blog layouts. So, get ready with Massive single page smooth scrolling theme fit to advertise your services & products in 5+ columns grid, boxed, full width and in masonry style layout. Download Massive today to make use of 50+ different demos, 140+ shortcodes and 900+ custom line icons to choose from. Cumulo is built to cater the multipurpose needs of all business, healthcare centers, education, agency, portfolio and personal product websites. This WordPress template brings you only the best features with tons of shortcodes that simplify your work. For its clean and simple design, it quickly grabs many visitors attention. With more than 80 HTML pages and advance framework, it is capable of providing high standards and performance. Wolverine WordPress theme is packed with tons of elements. It’s responsive, skin looks completely fantastic from desktops to all mobile like devices. This template serves you with drop down & megamenu features, where it becomes easy for you to organize and navigate your website content. The theme is loaded with various essential features like Font Awesome – improves your web accessibility with ready to use icons, parallax backgrounds – adds an animation effect to pull visitors attention, 19+ header, and footer types. 24+ portfolio HTML files featuring canvas navigation and smooth scrolling, slip screen that showcases the two different information simultaneously on the same screen. So, this is not it, download Wolverine to explore more. As it is well said, the more you dig the more you find. Yamen is one of my favorites in the list of multipurpose website templates. It fits perfectly for the freelancers, professionals, small and big business, agency, corporate or eCommerce business. Slider revolution jQuery visual editor works for you even if you don’t have the option to use WordPress on your server. Your whole front page will be portraying your own stories in no time. Yamen is guaranteed for high performance, optimized for better SEO results. Megamenu, RTL supported, video/wide and boxed layout, ready to use Flickr/MailChimp/Twitter integration make it different from all. Give a try to Yamen, you would simply love it! Marquez is an amazingly responsive and retina ready website template skin. It looks perfect when dealing with tablets or mobile like devices. This WordPress theme is loaded with 25+ incredible layouts, 8+ plugins, 400+ font icons and more to customize your site the way you want. The first section that entices your customers is the slider, the theme has full screen, regular & boxed slider with full-screen parallax section adding animation to your site. The framework also includes designed layout content blocks which can be easily moved to any area to give it a unique yet new elegant layout of your own. Jango builds a desired user interface components for creating a websites and web applications. This One-Page bootstrap template helps you to build a unique, modern and fast website in just a few clicks. With over 300+ components that are reusable blocks enabling you to mix and match to create unlimited possibilities. The theme is also packed with a powerful admin panel where you have multiple options to choose from. If you are thinking to design an eCommerce website you get perfect elements like customer login or register page, shopping cart option, checkout page and 6+ shop homepages for your easy convenience. Adding this magnificent theme to your cart, will not be a bad decision. Rhythm is a classic style WordPress template with 175+ web page and multiple page header variations. The theme has Visual Composer that helps you to design your own layout with drag & drop page builder. Work on 38+ different demos, 40+ portfolio pages, 10+ blog pages, and shop pages, Rhythm has the capability to fulfill all the requirements of users involved in corporate culture, art & craft, portfolio, and eCommerce business. Start with this amazing template to give something different yet acceptable change to your visitors that tempts them to why not deal with you. Foundry is a professionally build clean, high-performance multipurpose WordPress template. As a site admin, you’ll be able to design stunning and alluring landing pages justifying content elements. 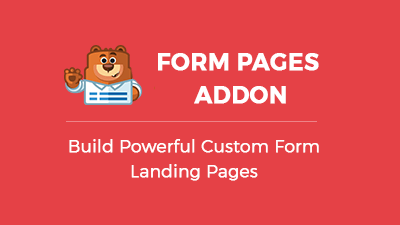 Foundry is equipped with Variant fast loading page builder with 1000+ icon packs, ajax sign up forms, centered style menu, 20+ homepage concepts, 100+ HTML template files and more. In this single theme, you get two different options to customize your web page i.e, boxed and wide. Try more to explore Foundry’s long list of features that fits perfect to all business niches. 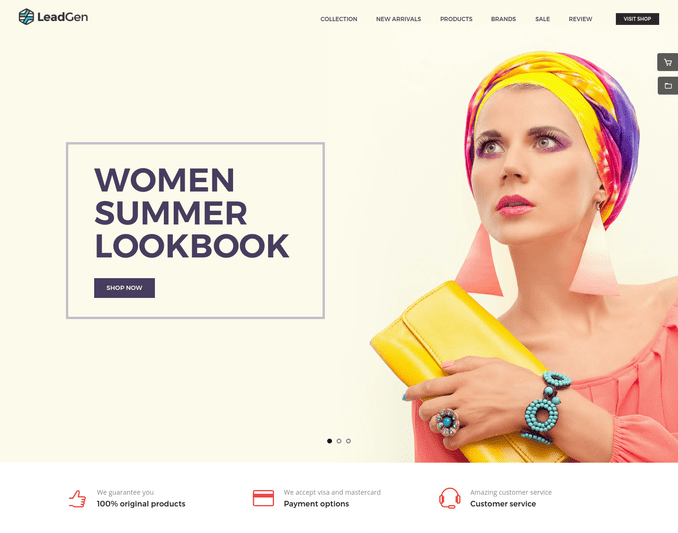 Porto is extremely beautiful, well coded and organized WooCommerce compatible website template. It is packed with Visual Composer, revolution slider with the capability to show images, videos, and captions with 3D transitions. To level up it has an excellent & dedicated support system for your any queries. Porto has an incredible admin panel that lets you build your own shop in minutes without any coding knowledge required. You get different eCommerce header styles, 4 slider options (box, full-width, grid, & full screen), parallax banner options and 2 style menu (mega-menu and vertical). Canvas is the theme with which you can create a personalized experience for your visitors. Design a unique custom tailored corporate or personal, medical or fitness, travel & tourism, construction, real estate, media agency, portfolio, and magazine website for you. Canvas has ready to use 90+ homepages, 730+ HTML files, 80+ multi & one page demos, 165+ portfolio templates and more. Fully customizable, this theme fits perfect to any screen resolution and size. Ajax contact forms with data validation help you get the correct inputs by your subscribers. In such a reasonable price you almost get everything required to set your captivating website. Hasta could be an excellent choice for corporate, business, portfolio, hosting, and creative bloggers. This stylish web template is integrated with 28 multi-page layouts, 10 homepages with default demos, one-page stunning layouts, etc. Apart from this, you get more such elite features that will surely give you a unique identity of your own. Style your template adjusting header & footer layout, custom animation that gives life to your content, video background, premium sliders/portfolio..
..and forms complete your wish list of a compatible WordPress template. Signature is famous for its design with dynamic functionality accessible for the ultimate multipurpose portfolio web template. Its all features are set to fit for musicians, DJ’s, event organizers, designers, artists, fashion industries and alike business. Signature has a collection of 26 demo variants, 300+ HTML web pages, 26+ header/footer style, 4 premium plugins, 26+ navigation menu style, parallax layers & sliders. Mobile and tablet optimized, this template remains the top choice priority for all its users. Try Signature, you would fall in love with this WordPress skin. Definity is built with the multi-page and one page with lots of shortcodes to streamline your website. You get 5 new shop layouts that include 3+ new templates, 11 multi-page templates, 14 one page templates. Clean pixel perfect design on each element builds a smart and trendy layout for all niches. With Definity, you can present your work in amazing styles by – Ken Burns slider animation, use parallax effect to make your visitors feel wow and set yourself to navigate two style menu options available for you. The eCommerce layouts in the theme let you create a perfect store to market your products and services setting you to gain the maximum visibility from around the world. Vossen has the capability to give an enhanced browsing experience to any visitor. It has video parallax slider this is something that amazes visitors to your website leaving them free to trade with you in long terms. You can customize complete layout keeping your business needs in mind. Light and transparent menu bars are offered with in addition to an AJAX portfolio feature, embedded with Google maps bring your business customers to your directly. Apart from this, Vossen has 3 blog post variations, 100+ Ion icons, 5 blog layouts, and a shortcode page. Get ready to earn huge bucks and online web visibility by trying Vossen website template. 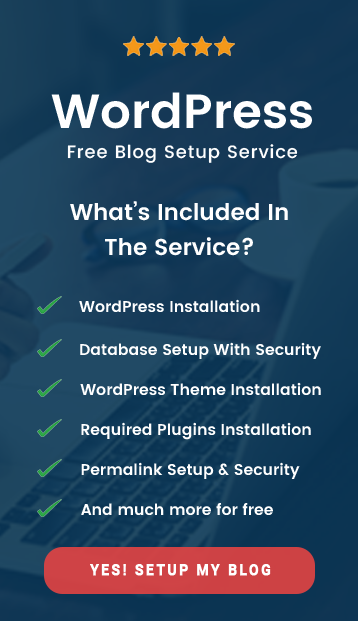 Select the perfect WordPress skin that fulfills your business requirements. 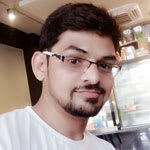 A Digital Marketer who is working with various brands. 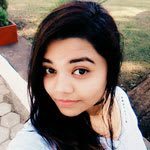 She writes interesting stuff like for WordPress, Latest Technologies, Tech Gadgets, Apps, etc. This is great to help us having ideas to use on our blogs. Sometimes we are kind of lost in what theme use and we dont know what would look good. Some of these themes would totally fit my blog’s idea! These are definitely some wonderful WP designs and will be considered for future upgrades to my blog. Thank you for doing this research for your readers! This was a great entry…my only question would be this,how many of these templates are free for us novice/personal bloggers? Hello Patrick thanks for stopping by! Further, all the multipurpose website templates that I’ve featured in the post are under $20 packed with all essential features & good to go..
WOW! A lot of great information!! Gives me a lot of choices! Thanks for sharing such an ideal masterpiece. I definitely loved some of the theme descriptions that adds meaning to why should I purchase that particular website template.